UFO SIGHTINGS DAILY: Alien Probe Found On Beach In Netherlands Matches Two Objects Found On Mars! Dec 2018, UFO Sighting News. Alien Probe Found On Beach In Netherlands Matches Two Objects Found On Mars! Dec 2018, UFO Sighting News. This could be a UFO probe that was hit by lightning or crashed into the ocean for unknown reasons. I would guarantee that this is a alien probe if I could do a metallurgy test on it. If the metal turns out to be high concentrations of unknown metals or of aluminium, then the evidence it tilting towards alien device, similar to the alien artefact that Bob White retrieved. Aliens do not use steel and dislike it almost as if they were afraid of it. 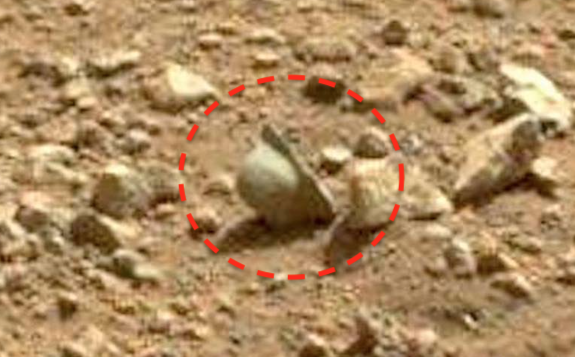 We have seen two similar objects on the surface of Mars near the NASA rovers in photos over the years. 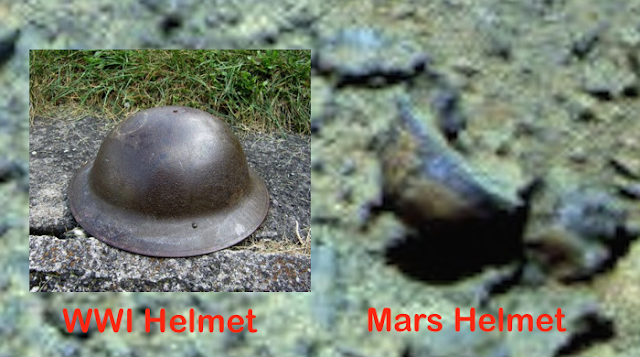 Both look like WWII soldier helmets...but maybe they were drones. So...you ask, how the hell does Scott know these could be alien? Their shape...and from the two objects we found on Mars...matching the same basic shape. 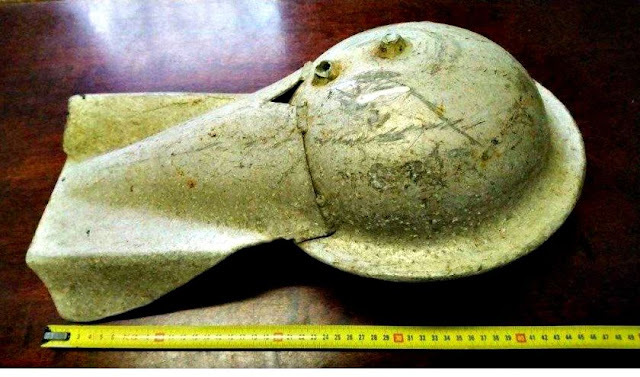 This object found on the beach in Netherlands...looks alien to me. In the 'depot' of beach discoveries of the Strandvondstenmuseum an object has been found between old net drivers and other windings, the origin of which can not yet be traced. 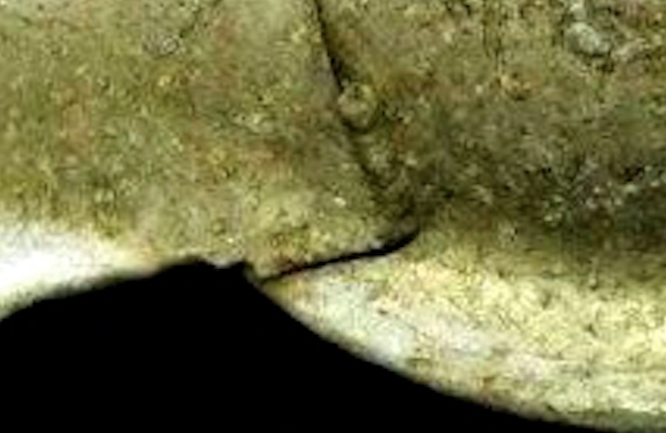 The object had probably been in the collection of a now deceased beachcomber, who left his collection at the museum, but that is not entirely certain. 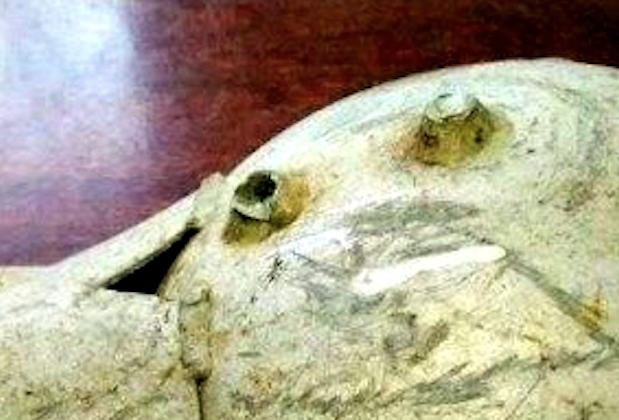 The museum has consulted several experts about the possible origin of the 'aluminum drop with wings'. According to a museum visitor, who is an aviation expert, the thing has at least a hydrodynamic shape instead of an aerodynamic one. After sending photos of the mysterious object to the NIOZ and the Royal Netherlands Navy, these authorities were also unable to clarify the function and origin of the object that they possess.